But when pop stars like Justin Bieber start getting killed, and flashing that famous Blue Steel look in their final moments, Valentina Valencia (Penélope Cruz) brings Derek and Hansel (Owen Wilson) out of retirement to investigate a fashion conspiracy in Rome, that involves the imprisoned Jacobim Mugato (Will Ferrell). 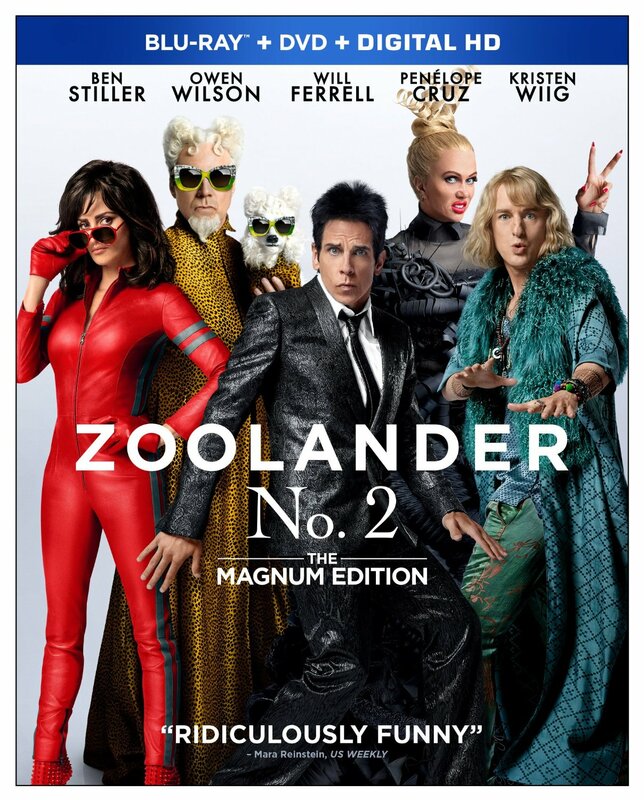 Following his 2001 cult classic, Ben Stiller reprises his title role and directs this long in the works followup, but the results are frustratingly mixed at best, only serving to prove that comedy sequels are nearly impossible to do right. This sequel does start off with a few chuckles here and there when we are reintroduced to the characters, but it quickly gets bogged down by insanely stupid plotting and overstays its welcome by a good bit. The first one was also expanded from a comedy sketch, but the material feels more stretched this time around, as Zoolander No. 2 becomes more concerned with celebrity cameos than actual jokes. Some of the humour is also pretty tasteless, including a tired bit involving a non-binary gender model named All (Benedict Cumberbatch), which feels frustratingly out of date. It’s meant to be stupid, and I know that’s the point, but a little also goes a long way. Although it admittedly has a few moments, Zoolander No. 2 is ultimately an inferior and disappointing sequel that can’t live up to the entertaining first film, wasting some fine comic talent along the way. The Blu-ray also includes several featurettes and a fake beauty ad. Zoolander No. 2 is a Paramount Home Media Distribution release. It’s 102 minutes and rated PG.